The LFC Foundation Lottery is drawn at each home game and can be played online in advance by visiting www.liverpoolfc.com/lfcfoundationlottery or you can buy tickets from sellers around the ground. Our sellers are also located around the ground and in the hospitality concourses of the stadium. 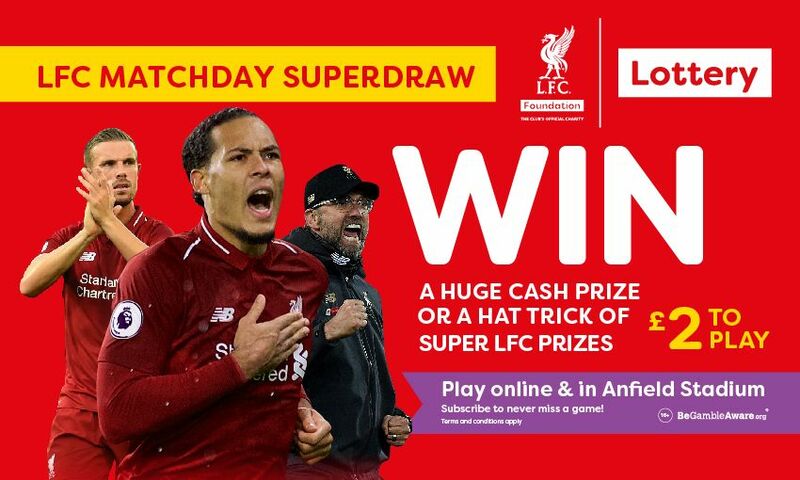 Simply click on 'Subscribe for multiplay' to be entered into every draw to make sure you never miss a draw and double your chances to win the goodies! Online tickets are automatically entered into the Second Chance Draw. If you buy a ticket in-stadium, register it on the Second Chance Draw page to be in with a chance. How do I find out if I've won?